A few months back, I wrote about the different torture methods used during martial law, and received mixed reactions to the story. Besides accusations of being a paid hack, there was a resounding narrative: that history is written by the victors who, in this case, are the Aquinos. Immediately after reading people’s comments, I took a step back to reflect. Is everything we know about martial law really mere fabrications by the Aquinos and their allies? We ought to stop seeing this as but a feud between two families – the Marcoses and the Aquinos. The brutal history of the martial law era was not written by the Aquinos alone. 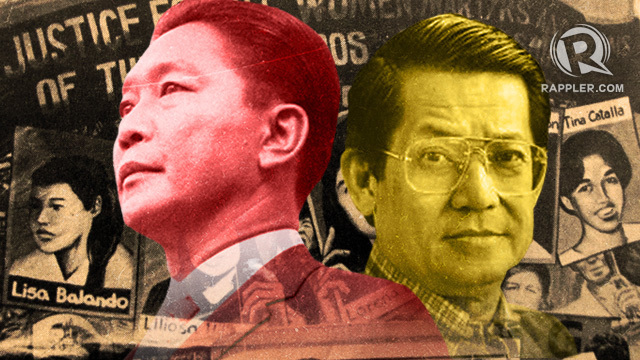 Ninoy Aquino and his family play a significant role in the story, but it’s not all about them. In fact, Ninoy’s assassination is only a fraction of a two-decade-long narrative. His death is just one of thousands. Martial law was a crime against the Filipino people, not just the Aquinos. Not all of the victims of martial law are supporters of the Aquinos. They were not all communists either. Some of them were journalists just doing their job, students who felt oppressed, and ordinary people who were at the wrong place at the wrong time. Those stories of death and torture were not just written by the Aquinos but by the victims and the families they left behind, with scars they’ll bear their whole lives. This part of our history was not only written with Ninoy’s blood, but with the blood of thousands of others who died and suffered horrendous torture during the Marcos regime. They’re not victors. They’re victims. The Aquinos, however, can be blamed for this, too. They have exhaustively used this narrative for 3 decades, hogging the spotlight to stay in power. By telling the story of one man’s heroism through and through every year, they’ve managed to put two Aquinos in the top government post. This narrative, however, is weak and easy to break. The story of martial law has become so hinged on the Aquinos that when their credibility was hit – for instance, over the Hacienda Luisita massacre and the Mendiola massacre – people started doubting the credibility of the martial law stories we grew up hearing. Martial law became all about the Aquinos – the story of a battle between a “good” leader and an “evil” one, deemphasizing the fact that so many other people died and suffered. 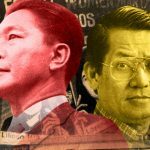 Many millennials know about Ninoy’s assassination and People Power, but not the stories of the fathers and mothers who lost their children, or the children who lost their parents. We were all told of the numbers – 70,000 people imprisoned, 34,000 tortured, and 3,240 killed – but not the stories behind the figures. This gave revisionists an opportunity to put their own spin on the story: that the declaration of martial law was necessary, that it ushered in an era of success, and that these “victims” deserved what happened to them. The discussions on martial law have been limited to picking a side between the Aquinos and Marcoses, as if hating one of them automatically makes you a supporter of the other. Ninoy was the match that ignited People Power, yes. But the gruesome stories of abduction, torture, and murder served as the fuel. Perhaps if we gave more attention to the stories of the thousands of other victims, it would be so much harder for the Filipino people to forget. When you talk to the younger generation about the martial law era, tell the story of Liliosa Hilao, the first female and student activist to die in detention during martial rule. Her body, when found, showed signs of torture: her lips bore cigarette burns, her arms had injection marks, and her body was full of bruises. According to her sister, her internal organs were removed to cover signs of torture and possible sexual abuse. Tell the story of Boyet Mijares, who was only 16 years old when he disappeared. His only sin – being the son of the whistleblower and writer Primitivo Mijares. Tell the story of Archimedes Trajano, who was 21 when he questioned Imee Marcos on why she was the National Chairman of the Kabataang Barangay during an open forum. A few days later, he was found dead. His body showed signs of torture. There are so many more stories out there. Maybe, if we tell our children these stories instead, they would understand better why something like this should not be allowed to happen again.